Tea Collection is sizing up for Fall 2018. Tea Collection, known for their globally-inspired children’s clothing, is giving older kids a chance to sport the label’s signature bright style with its first tween collection. Understanding the frustratingly limited options in tween fashion, Co-founders Leigh Rawdon and Emily Meyer decided to expand Tea Collection for older girls of all shapes and sizes. 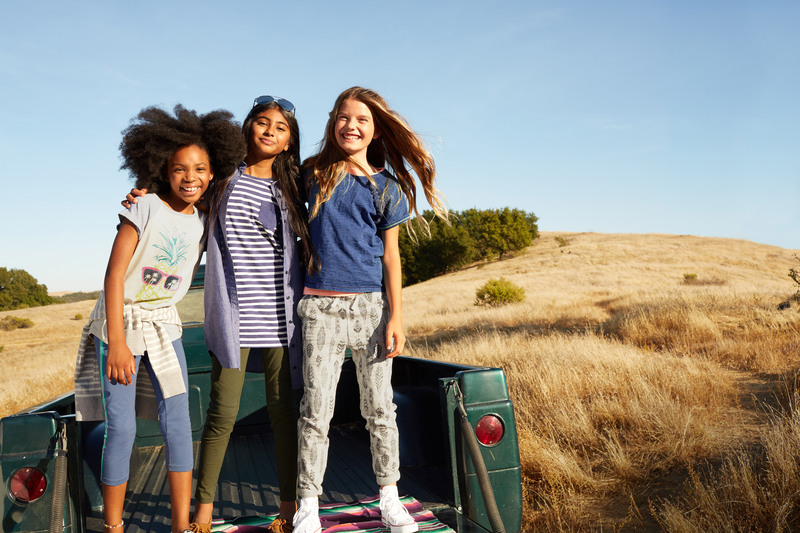 “Our customers have been telling us for some time that their kids were growing out of our children’s sizes and their families still love the brand and quality of the product,” Meyer, chief creative officer, says. For the Fall/Winter 2018 collection, Meyer and Rawdon kept the designs close to home, celebrating communities of the northern U.S. states. “We have artistic collaborations with Native American artists that complement our full collection, including bold stripes, florals and iconic graphics,” Meyer says, adding that the brand is channeling an urban edge for the back-to-school season, featuring pop art and “glocal” style. Wholesaling for between $15 and $34, the line is available now at www.teacollection.com and select retailers.